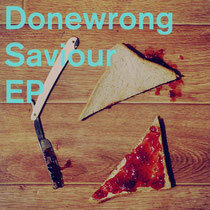 Donewrong’s ‘Saviour’ EP, backed with a remix from Pheek, is the latest release from the UK’s Glue Music and is released today. Glue Music, set up by British artist Richard Seeley in 2010, is far from prolific, with just five release under its belt, but its output is consistently quality and tends to veer away from trends. Moody, electronic and always interesting, previous tracks and remixes from Andreas Georgiades, Michael J Collins and Justin Drake have all stood out from the crowd. Donewrong aka Citizen45 and Juaram live up to the Glue Standard on ‘Saviour’, with the title cut striking a balance between many a house music sub-genre but leaning heavily towards the stripped and the strange. Soundsystem dub bass, synthesized steel drums and delayed vocals give a distinct vibe but in each section of the tune you’re treated to different perspectives. 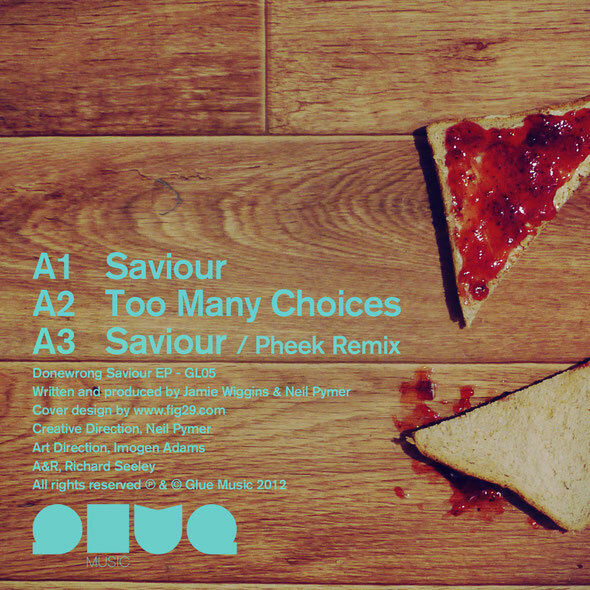 Pheek delivers a warm, swirling interpretation of ‘Saviour’ which toys with the original’s sounds without letting them puncture the dreamy groove, resulting in a nice piece of late-night house. The EP closes with the spooky, rattling ‘Too Many Choices’ – a track that fuses eerie atmospherics with a staccato, machine like rhythm track that is both uncomplicated yet detailed.